Robins mark the beginning of spring. This little robin perched on a tree branch is a cute and happy reminder that the year’s most beautiful step has arrived! Here’s your chance to paint this pretty birdie and the branch is bright and beautiful colors. 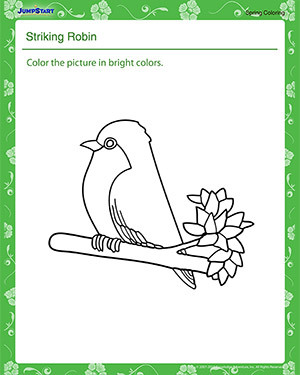 For more such coloring worksheets, check out our spring inspired coloring pages now!